To Celebrate Canada’s 150th anniversary, Gore Mutual is giving $1 million to help better communities across Canada in 150 ways. Gore Mutual has supported Women’s Crisis Services in many ways over the years. Most recently with a lead gift to Rebuild Haven House. This investment lead the way to rebuilding our Cambridge shelter to provide a safe, secure and nurturing space for abused women and children to heal. 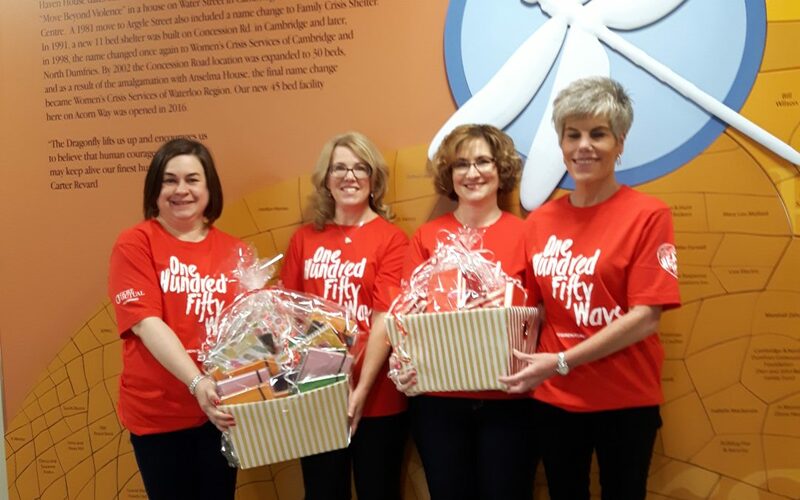 To celebrate the “150 Ways” initiative, a group of GORE Mutual employees reached out to Haven House to learn about how they can make an impact. We welcomed them into the shelter to present their donation and learn more about our work and how our community can support us as we “Move Beyond Violence”. Their donation of journals and pens to the women of Haven House are not only MUCH NEEDED and are on our current WISH LIST, but are a gift that can promote healing, learning, and independence. Journals are used to write down details of women’s experiences. Sometimes the memories are blocked and resurface at different times. The journal is a place to write them down. We also use journals in our counselling environments and in our Music Therapy program to write lyrics and expressions. The journal also helps women stay organized with appointments and meetings that they have to plan for safety and for a life free of violence outside the shelter. We serve hundreds of women and children, and each of them could use this gift of support. 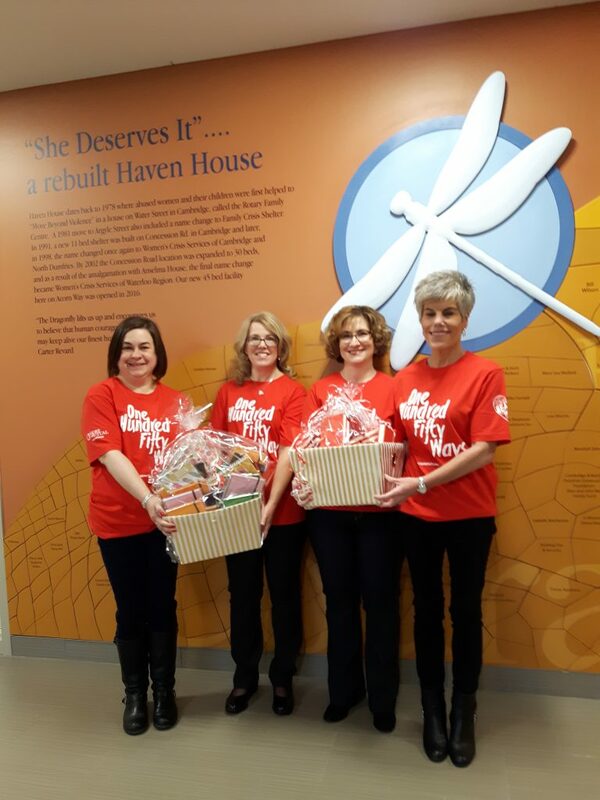 Thank you to GORE MUTUAL, for being so thoughtful, for listening to our needs, and for impacting the women and children at Haven House TODAY to create a better Canada for the next 150 years.